Logo design, vectorization and optimization. 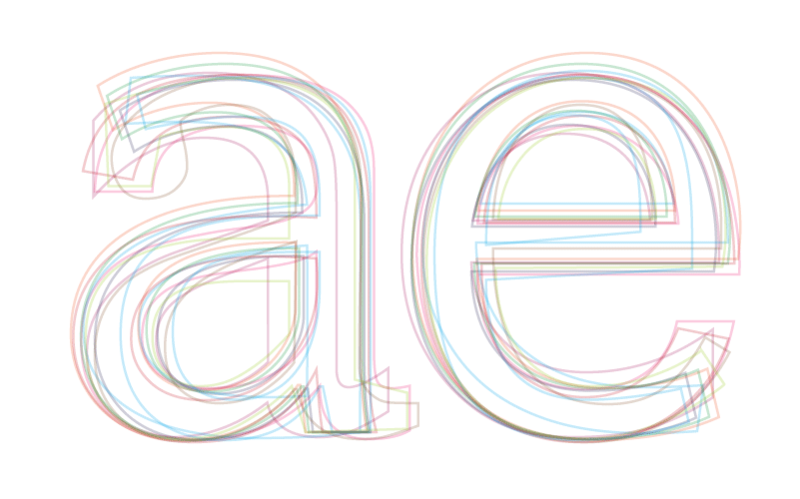 Font development based on vectorial files or drawings. 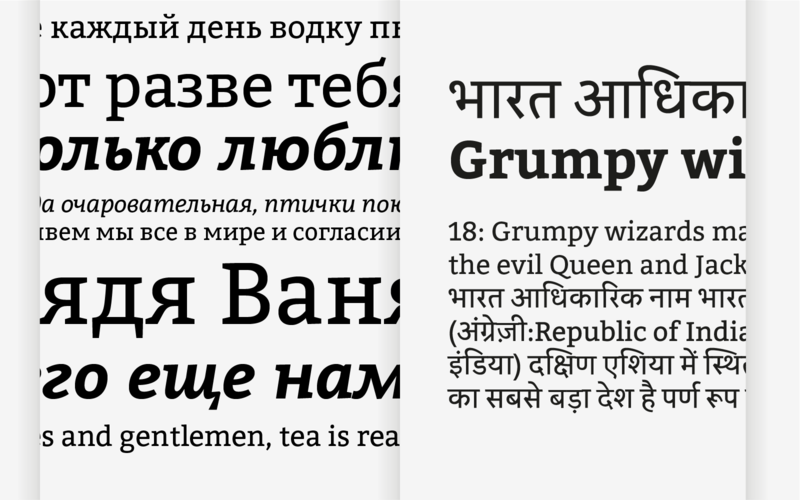 Character set extension for advanced OpenType features. Use and family pairing consulting. Audit of character set: glyphs names and unicodes ranges. Horizontal and vertical metrics review. 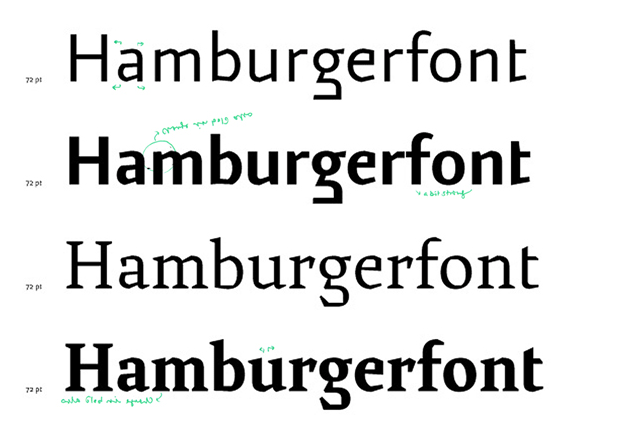 Kerning optimization: testing and classes generation. 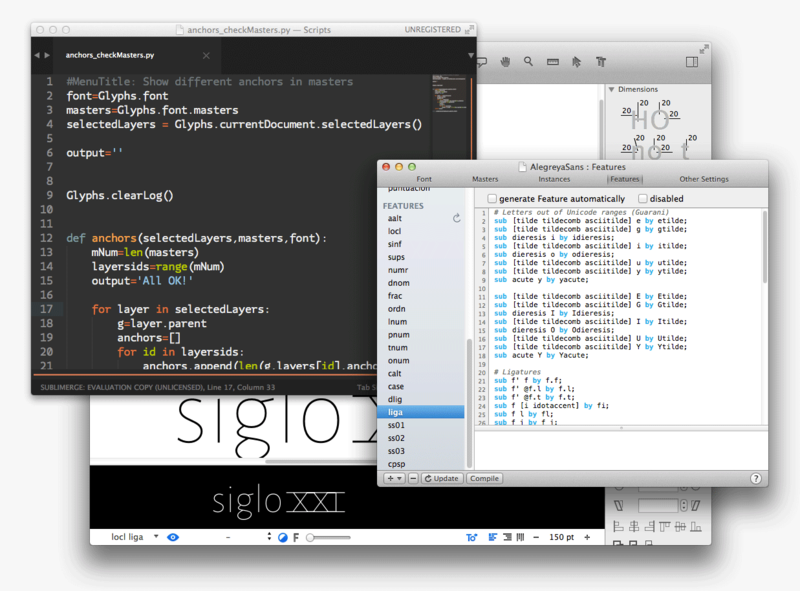 OpenType features programming and optimization. Glyphs replacement rules for specific languages.